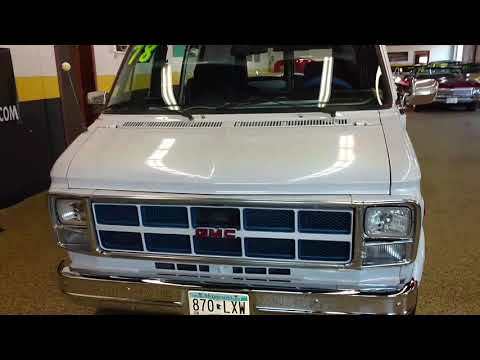 1978 GMC Vandura, drives nicely! You are looking at a 1978 GMC Vandura that is a nice running and driving Van. You just do not see many of these that are left out there. Equipped with a Small Block V8, 3-speed automatic transmission, power steering and power brakes the vehicle goes down the road well. The restoration is a bit older but still looks to be in good condition overall. The Front and Rear AC is currently not working (our loss and your gain). The seats are very comfortable and the bed in the back makes this a great travel candidate to take on road trips to concerts, visiting state parks, or to just a great cruiser in something a little different. Call 507-386-1726 for more information. Trades and Offers will be considered!